About — WHEN THEY AWAKE! This urgent music documentary comes at the right moment, just when the Standing Rock movement hit the news and alerted American consciousness to the challenges still facing Indigenous Americans, and in a year in which Canada celebrates its 150th anniversary – a date contested by Indigenous peoples, as it commemorates a colonial landmark. For the last three years, we have crossed all of Canada and parts of the US in an attempt to capture this formidable moment of cultural resurgence, which is representative of the struggles and resilience of Indigenous communities around the world. We did so with passion, with highs and lows, but always with determination. We wanted WHEN THEY AWAKE to be bright, full of hope, optimistic, forward-looking; to show a portrait of the zeitgeist, showcasing Indigenous cultural reclamation movement that is finally reaching the mainstream through social intervention, with music as its easiest gateway. But we wanted the film to also be reflective; to honour the events of the past, to highlight a path moving forward, and to invite as all to question our privilege, and to re-asses and, in some cases reboot the complex, interwoven fabric of contemporary society, creating enough space for Indigenous peoples to reclaim their rightful place in it. In a year packed with films on Indigenous subjects, WHEN THEY AWAKE starts off where the award-winning documentary Rumble: The Indians Who Rocked the World (2017) ends, chronicling the rising voices of musicians' whose multifaceted roles in the music scene, in community outreach, and political engagement form a new type of activism today. Bursting through the seams with the unapologetic optimism and poetic vision of a new generation of musicians, who are reflective of the social issues feeding this burgeoning scene, WHEN THEY AWAKE is an inspiring, uplifting kaleidoscope of powerful Indigenous voices from across the country. As non-Indigenous filmmakers, it was our honour and our privilege to work on this film - and while a film rights no wrong, we hope to have done our best to build bridges between communities, and to provoke thought, discussion, dialogue, and above all long-overdue recognition. We hope you will enjoy watching it. PJ MARCELLINO is a Toronto-based producer/director with Longyearbyen Media. He was previously a photo-reporter, journalist, author, and editor, and later a political advisor with international agencies, before reinventing himself as a filmmaker, bringing onto the screen a sense of urgency and empathy developed working on hard-hitting socio-political issues such as migration, human security, and peace-building. He studied Documentary Filmmaking at Toronto's Documentary Film Institute at Seneca College. STUART HENDERSON has worked as a producer with 90th Parallel Productions on a wide range of projects since coming on full time in 2014. As producer, he currently has five films in production with a range of broadcasters. A former creative consultant for actress Rachel McAdams and a syndicated Pop Culture columnist with CBC Radio One, Henderson has experience on both the creative and the critical sides of the fence. 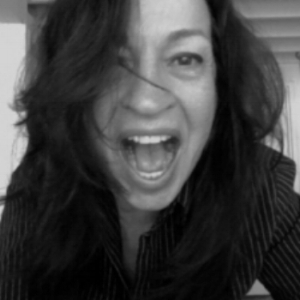 A former editor with PopMatters and Exclaim! magazines, he is a juror for the Polaris and Prism Music Prizes. Stuart is the author of the multiple award-winning book Making the Scene: Yorkville and Hip Toronto in the 1960s. A former professor of cultural history, he holds a PhD from Queen’s University. GORDON HENDERSON is a widely respected industry veteran, and the founder of 90th Parallel Productions. Gordon Henderson began his career as parliamentary correspondent for Global TV. He produced documentaries for CBC’s The Journal and was the senior field producer at CTV’s W5 before starting 90th Parallel Productions in 1987. He was the senior series producer of the celebrated CBC/Radio-Canada series Canada: A People’s History. He sits on the board of Opera Atelier and Face the Future, a medical missions foundation. For more than a decade he was an instructor with the Journalism department at Toronto’s Ryerson University. His first novel, Man In The Shadows, was published by HarperCollins in 2014. He has been involved in the production of several documentaries in the Canadian North, bringing an extra layer of northern exposure to this project. HERMON FARAHI is a cultural anthropologist, filmmaker and creative director with Cause Affects Films (Circle Group, Las Vegas). 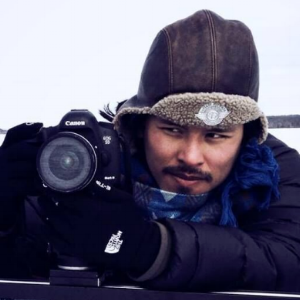 Farahi brings a balanced academic approach to his work, including short docs produced/directed in challenging environments across the global south, namely Everest and Guam. He is increasingly involved in grassroots social justice and minority rights movements in the US. He’s a graduate in Anthropology and Documentary Filmmaking from George Washington University. SUSAN AGLUKARK is one of Canada’s most unique and most honored artists. An Inuk from Arviat, Nunavut, Susan has been walking in a tension between two worlds, a defining note in her remarkable career. Aglukark’s musical success is even more interesting when you realize she didn’t start her career until she was 24, with no modern musical orthodoxy to draw on Aglukark was free to respond to the sounds and styles that touched or motivated or inspired her. The (real) appeal of her music is that in an era where the most popular music is often less relevant than style or mood, her lyrics are where she lives. “The songs are driven by the stories. It’s all about the stories." TISKA WIEDERMANN joined Raindance in 2011 to lend a creative hand to help Raindance grow in Canada. She currently oversees five filmmaking hubs across North America and has helped develop signature Toronto networking events to connect independent filmmakers, training and education programs, and the innovative Raindance Postgraduate Masters’ Degree and Raindance Fast Track Incubator for Feature Film, TV and Web Series, which is currently developing eleven feature projects. Tiska has produced two short films, and is currently producing an international co-production feature film. She is also fine-tuning her frequency.